A year later, uninhabited buildings with gaping cracks lean at precarious angles and some displaced people are still living outdoors a year after a magnitude 7.1 earthquake killed 228 people in Mexico City. MEXICO CITY (AP) — Throughout Mexico City, uninhabited buildings with gaping cracks lean at precarious angles and some displaced people are still living outdoors a year after a magnitude 7.1 earthquake killed 228 people in the capital and 141 more in nearby states. Bureaucracy and physical and legal hurdles have delayed demolition of hundreds of tottering structures. In other cases owners carried out repairs that were purely cosmetic — masking damage that is likely to be revealed in the next quake. Corruption has continually undermined attempts to enforce building codes. Tearing down buildings in a metropolis of 21 million is a daunting task. “It has to be done surgically, almost brick by brick,” noted Ruben Echeverria, spokesman for the northern borough of Gustavo A. Madero. But the slow pace of demolition, let alone rebuilding, is frustrating both to those who lost their homes and to those left living amid shattered eyesores that look like they could collapse at any time onto sidewalks and streets still cordoned off after the Sept. 19, 2017, quake. On a recent morning, a handful of people returned to the six-story beige- and salmon-color apartment building across from a park in the trendy Condesa neighborhood that they had called home until the quake punched yawning holes into the masonry and left it listing to one side. They had just gotten word that it was finally going to be torn down, and civil defense workers took them inside one-by-one to rescue belongings — small furniture, pictures, tax documents, water-stained pillows — trapped inside during the nearly 12 months when nobody was allowed to enter. Molints said the delay has taken a toll on residents’ confidence in local authorities. That seems a tall order: It wasn’t until three months after the quake that the city government passed rules prohibiting the same engineer or architect from signing off on the safety of a building that he or she designs. The quake placed in doubt the city’s reliance on self-policing — developers hire the regulatory experts who certify the safety of the buildings they put up. 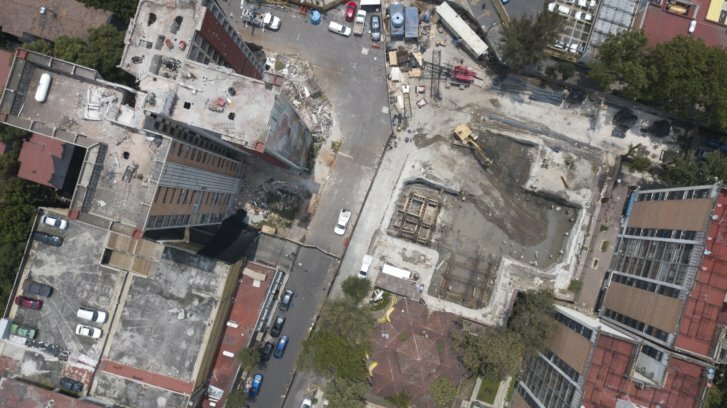 An investigation by the civic group Mexicans Against Corruption revealed one case in which a structural engineer approved the designs of three buildings that collapsed, killing dozens of people. The same engineer had his license renewed and was even consulted on regulatory changes and building reinforcement after the quake. — A heavy steel billboard atop one apartment building had been ruled illegal by authorities since 2010, but was never taken down. Experts say its weight probably contributed to the collapse of the building, where 11 people died. — An office building where 49 people died had been deemed so unsafe by government experts that a government agency was warned not to rent offices there in 1997. Nothing was ever done to force the owners to correct the building’s problems — it was leaning considerably — nor were other prospective tenants informed. Nobody has been successfully prosecuted for building collapses, even though experts found evidence of deficient construction in several cases where builders submitted false paperwork, used cheap materials or simply built atop older, unstable structures. Nor has a single apartment building been reconstructed. What authorities have managed to erect is a daunting bureaucratic pyramid of paperwork for victims to get their buildings evaluated, repaired, demolished or replaced. “They required that people prove ownership of their properties when it is known that 50 percent of people in Mexico City don’t have proof of ownership, they don’t have titles,” she said, because the cost of registering properties has historically been high. What little progress has been made seems to have come from the unsung heroes: demolition workers who break down the upper floors of buildings too tall to use heavy machinery, and quake victims who have slept outside, demonstrated and blocked streets to pressure the government. Hector Toledo is a civil engineer whose apartment was one of 450 damaged in the quake — another block of 40 apartments nearby collapsed completely, killing nine people. About 100 of his neighbors are living in tents and makeshift sheds and using foul-smelling improvised toilets in outdoor camps. Toledo counted on his hands the number of demonstrations residents had to stage before the government agreed to rebuild and reinforce their apartment buildings. In all there were 300 protest meetings and five big rallies when they blocked streets. “If we hadn’t been united, we would have lost everything, even the land” where the apartments stood, Toledo said. Still, he estimates it could take another year before their apartments are finished. Leticia Rosales, a retired government office worker, is one of the lucky ones. Workers are busy laying the foundation of a new apartment tower to replace hers, which was badly damaged and later razed. Still, her meager government monthly aid stipend of 3,000 pesos ($160) is coming to an end, and she still doesn’t know how much she will have to chip in for rebuilding. “They haven’t told us how much, and that’s what has all the neighbors in anguish, because a lot of people were still paying mortgages on their old apartments,” Rosales said. For many who couldn’t find their ownership documents or never had them, the quake and its aftermath meant a total loss. In front of one damaged building on the city’s north side, about 20 residents have blocked the street with sawhorses and packing crates to demand the city help repair their warren-like apartments that were built without reinforcing columns behind the old facade. Authorities refuse, claiming the place was damaged not by the quake but by a subsequent gas explosion. Officials also say the residents do not have title to the property. “They say we are squatters, but we are owners,” said Gloria Ramirez, who sells food on the street to make ends meet. She and other residents spend the nights in tents, though police recently tried to clear their camp and re-open the road to traffic. Others, more fortunate, have begun rebuilding lives. At the building in Condesa, industrial engineer Simon Zuman lost his apartment, his office and his street-level falafel counter catering to neighbors and the dog-and-stroller set who frequent the park on weekends. Zuman has relocated to a newer building in the neighborhood, where he has lived his whole life and is loath to leave despite its vulnerability to quakes atop the spongy ground of a former lakebed. He’s also reopened the falafel counter around the corner. Inside the place he called home for 16 years, he took a last look at its cracked columns and crumbled walls. Gathering a few things like mementos from his university days, he loaded them in an SUV and got ready to drive away. “And I’m off. And It’s over. That chapter of my life is closed,” Zuman said, choking up.